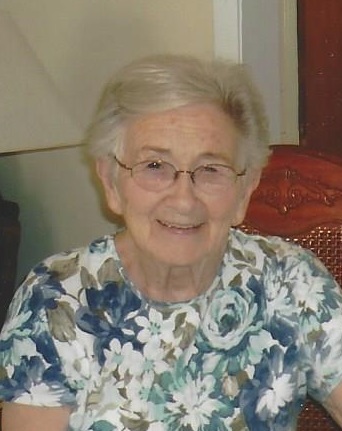 Junnatta F. Dillingham, 88, formerly of Champaign, died at 12:53am on February 8, 2019 at Kirby Medical Center in Monticello. The funeral service will be at 12:00 on February 13 at Owens Funeral Home (101 N. Elm St.) in Champaign. The visitation will be one hour prior to the service at the funeral home. Burial will be at Grandview Memorial Gardens in Champaign. Junnatta was born on March 9, 1930 in Fountain Run, KY, a daughter of Jimmy and Lottie (Rich) Agers. She married Dale Dillingham on March 3, 1950 in Champaign. He died on May 1, 2000. Survivors include: three children; Patti (Randy) Swim of Champaign; David (Becky) Dillingham of Champaign; Richard (Valari) Dillingham of Monticello; six grandchildren; 2 great-grandchildren with another expected in May; step-brother, Rex Agers of Glasgow, KY; step-sister, Earlene Quisenberry of Louisville, KY.
Junnatta enjoyed working in her yard and spending time with her family. Special thanks for the care and attention given to Junnatta by the dedicated staff at Prairie Winds, the place she referred to as her home for the past two years. The family would also like to extend their gratitude to the staff at Kirby Medical Center for their genuine compassion and comfort provided to Junnatta in the last two weeks of her life.